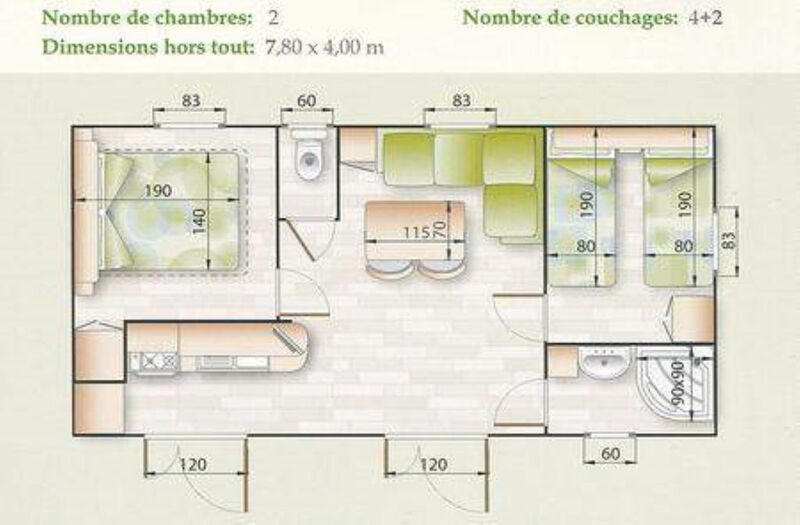 luxury comfort model 2010 7,80m x 4m (31m2 outside terrace) - air-conditioned. We also welcome you to rent a campsite, caravan or tent. In our mobile homes we provide blankets, pillows but neither sheets nor towels are provided. All our mobile homes are also equipped with fridge, microwave, gas hob, coffee maker, trash, basin, mop, bucket, dustpan, broom, broom brush. Possibility of buying disposable sheets and pillowcases (one week of use): 5 € the kit per bed. Possibility to rent a TV: € 5 per day / € 20 per week.